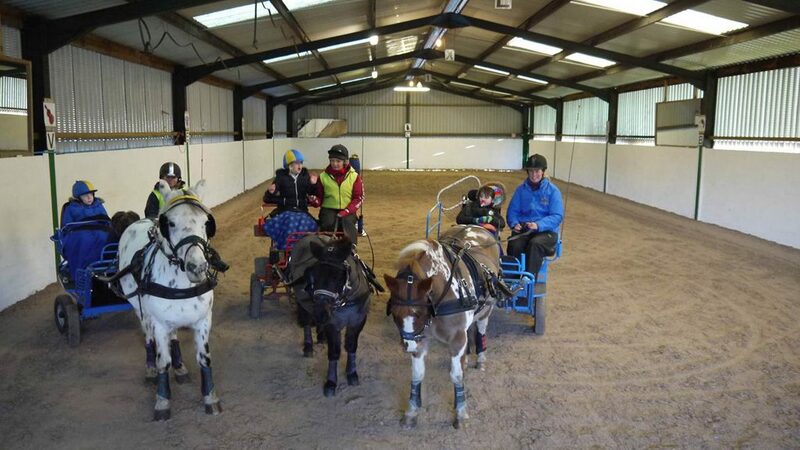 Chariots of Fire Equestrian Centre near Lockerbie provide carriage driving and riding lessons for people with disabilities and additional needs in partnership with the charity ‘Sports Driving Unlimited’. Their indoor school was in desperate need of an update and Martin Collins Enterprises Riding Surfaces came to the rescue supplying them with a top of the range synthetic surface. This will not only improve the carriage driving experience at the Centre but also allow more people to use the facilities. The much needed refurbishment of the indoor school making it more suitable for people with special needs was funded by Sports Driving Unlimited with a grant from Sports Scotland. Support also came from The Morrison and Hedley Foundations, Annan Rotary Club, Scott Young of Boreland, Grange Quarries and Hire & Supplies Ltd Dumfries. Martin Collins Enterprises also played their part in this well deserving charity by supplying the surface at a substantial discount.